This time of year always feels like a good time to say thank you and to wish you well. Thank you for reading this stuff. Thank you for emailing me and commenting on this stuff. If you’ve downloaded or bought any of my books this year, thank you. If you’ve trusted me with your guitars or basses this year, a massive thank you. All of this means a lot to me and I really appreciate your trust. Happy Christmas and thanks again. P.S. Haze Guitars is now closed for the holidays and will reopen in the new year, on 2nd of January. See you then. Season’s greetings, all. Ho ho ho and all that. Haze Guitars will be closed from 23rd December, opening again on January 4th. I’ll be hitting the ground at a sprint in January. The traditional Haze Setup Sale will run all through January. More on that in a few days—stay tuned. Also traditional—and hugely important—as the year draws to an end, I want to say a massive and sincere ‘thank you’ to everybody who’s trusted me with their instruments over the last year. I understand these instruments mean a lot to you and it means a lot to me that you trusted me with them. Thank you, thank you, thank you. I hope I was able to help out. So, to you all, a happy Christmas, Hanukkah, Kwanzaa, Yule, Saturnalia, Solstice, Newtonmas, Rod Serling’s Birthday, or whatever you happen to celebrate around this time of year. Or, if you don’t celebrate anything around now, just have a nice day. As is usual at this time of year, my wife is forcing me to take a short holiday to spend some time with my family. Since she scowls if I look like moving towards the workshop, Haze Guitars will be closed from 24th December, opening again on 5th January, 2015. In January, I'll be hitting the ground running with the—now stupidly traditional—setup sale. More information on that over the next week. I'd like to say a huge thank you to everybody who's trusted me with their instruments over the last year. I know those guitars, basses, banjos, mandos, etc. mean a lot to you and it means a lot to me that you'd trust me with them. I hope I was able to help. Thanks, also, to those of you who downloaded my book, Truss Rods Made Easy, and who regularly read my email newsletter. I love writing these, talking with you, and I hope you enjoy it. Another rock 'n' roll Christmas, another Christmas, hangover-laden, bout of gout. Rich foods and tasty beers beckon and Haze Guitars will be closing its doors for a little while. Other than the few collections I've already arranged, Haze Guitars will be closed from December 24th until Monday, January 6th. I'll be checking in on emails from time to time so feel free to drop me a line if you need to. Come January, I'll be hitting the ground running with the—now traditional—Amazing and Astonishing, This Is Just Crazy, January Setup Sale. It'll be super-cheap, high-quality, setups all through January. More info on that over the next few days. As always at the end of the year, I want to say a really huge 'thank you' to everybody who trusted me with their instruments this year. I know what it means to allow someone to work on your beloved guitars and basses (and miscellaneous stringed things) and I really, really appreciate that trust. I hope I was able to help. Thank you very much and have a fantastic Christmas. Well, I wish it could be Christmas every day. Not really, obviously—my liver would never take it and I'd be ridden with gout but, once a year works pretty well. So, as I prepare to put my internal organs through a gruelling, endurance test of alcohol and rich foods, I should probably let you know when I'll be available over the season of excess and family arguments. Haze Guitars will be closed from December 23rd to January 3rd. I'll be checking in on emails from time to time during this period, though, so you should feel free to drop me a line if you like. As has become customary at this time of year, I'd like to say thank you to those of you who've entrusted me with your beloved instruments over the last twelve months. I genuinely appreciate it and I hope I've been able to help you out. In the new year, I'll be hitting the ground running with the Super Setup Sale (more in a while) and, if last year is anything to go by, that should certainly help shift those Christmas pudding inches on my midriff. In the meantime, however, I'll just wish you all a splendid Christmas. Hopefully Santa will pop some geeky, guitary stuff in your stocking. Thanks, everyone. Have a great Christmas. Ho ho ho and all that. The festive season is upon us and, as I've got to follow tradition by stuffing myself stupid with turkey and beer, Haze Guitars will be closed for a while over the Christmas period. 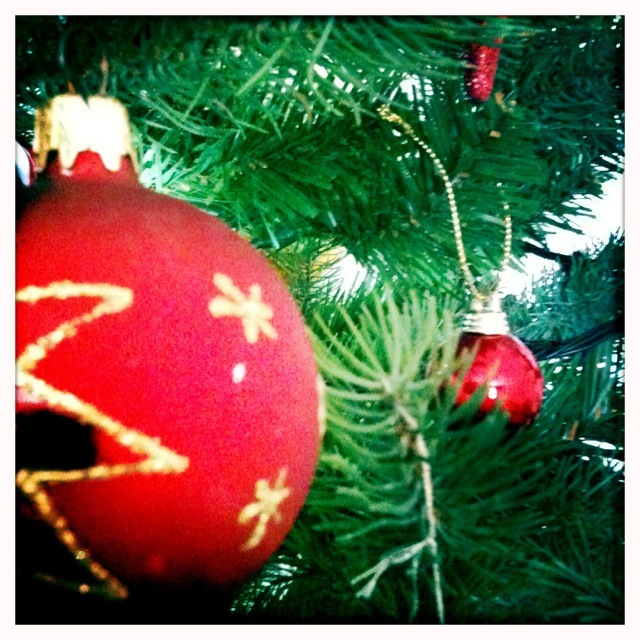 We'll be closed from December 24th until January 4th, 2011. Of course, you can email at any time - I'll be checking in. When we open again, we'll have a super sale for you. More on that in the next couple of days. Stay tuned. To all those who allowed me to help out with their guitars in 2010, a big thank-you. I hope you all have a fantastic, and hangover-free, Christmas. Over the holidays, I plan to actually play some guitar instead of hammering crooked nails into them. I'm quite looking forward to it. Thank you all, and Happy Christmas.